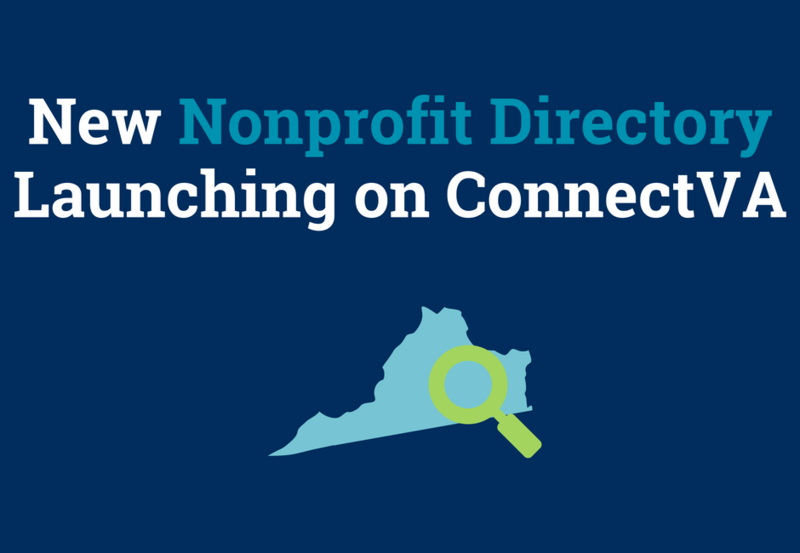 The Community Foundation is excited to announce the upcoming launch of a new Nonprofit Directory on ConnectVA.org. On September 24th, the directory will combine the best of two well-known and well-utilized resources – ConnectVA and GiveRichmond – into one location. The Nonprofit Directory now allows organizations to provide a high-level overview of their organization, or they can go one step further to showcase detailed financial data, organizational leadership and key programs. Visitors to the site will also enjoy easy access to other popular features of ConnectVA including current job postings, upcoming events, human services and listings for items needed or available. This change is part of the Community Foundation’s ongoing effort to create efficiencies, promote transparency and build connections that help advance the important work of the region’s nonprofit sector. Does it cost anything to be included in the ConnectVA Nonprofit Directory? The Nonprofit Directory is a FREE service provided by the Community Foundation, regardless of which profile option you choose. There is also no cost to view the directory. Nonprofit Organizations who have a live GiveRichmond portrait will automatically have an Enhanced profile when the Nonprofit Directory is launched. What will happen with my GiveRichmond portrait? All live GiveRichmond portraits will automatically transfer to the ConnectVA Nonprofit Directory on September 24th. To assist with the change in navigation, visitors to the GiveRichmond website will be automatically redirected to the Nonprofit Directory through early 2019. Will there continue to be a connection to GuideStar? No. ConnectVA will not interface with GuideStar. If you wish to edit your GuideStar profile, you can find more information here. How do I access/manage my new ConnectVA organization profile? Will the nonprofit directory accept donations? No. Donations will not be processed through ConnectVA. However, the Enhanced profile will include a “Donate” button. The button will link to the donation page on the organization’s website. What if my organization does not have online giving? We will recommend some options, such as Network for Good or Paypal. Can my organization promote volunteer opportunities, in addition to monetary donations? Yes. Organizations have the option to enter their profile page on HandsOnRVA.org, which includes links to all posted volunteer opportunities. If you are not yet a HandsOn Greater Richmond partner organization, we encourage you to take advantage of this local resource for managing and tracking volunteer projects.